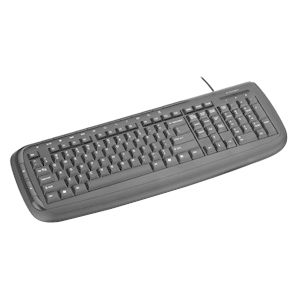 Durability and comfort come together in the Pro Fit USB Wired Keyboard. The full-sized design provides all-day comfort, while the spill-resistant construction means it's built to last. The Pro Fit keyboard connects in seconds. Simply plug it into the USB port and you're ready to go with no drivers or software needed.